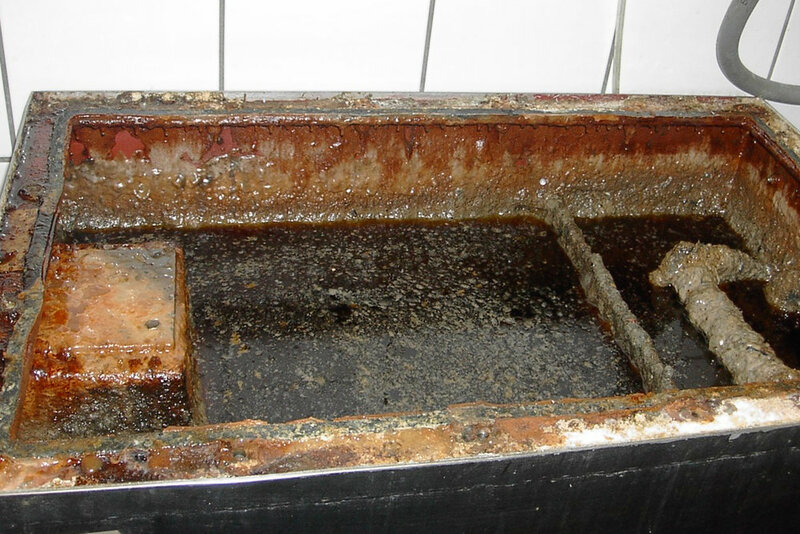 Collecting used cooking oil and cleaning grease traps is a dirty job, a fact known all too well in the restaurant community. Let's put it this way, when it comes time to clean the grease trap you won't see staff members jumping at the opportunity. Cleaning retaurant grease traps is a dirty job, but somebody has to do it. Let Smart Alternative Fuels put your grease trap maintenance on AutoPilot. So, what do busy restaurant owners and managers say when asked why they prefer AutoPilot Service from Smart Alternative Fuels? One less headache. The key descriptor was busy restaurant owners and managers. There is plenty to do in a fast-paced kitchen. AutoPilot cooking oil collection and grease trap maintenance service simply means we take care of everything for you. But there's more. We run a clean shop, and our attention to detail when it comes to on-site used cooking oil storage is perhaps one of the best reasons to partner with SAF. And, did we mention recycling used kitchen oil is free? Yes, it is free. While under contract with us, you will receive a clean, custom cooking oil container. We offer various container sizes based on the volume of kitchen oil being recycled. Plus, we have developed a proprietary scheduling system to take the guesswork out of timing an oil collection site visit. There is a right way to store used cooking oil, and a wrong way. If your restaurant oil storage looks like the drums on the left, maybe it's time to start AutoPilot Service with Smart Alternative Fuels? When it comes to our grease trap maintenance service, we offer competitive rates throughout our west coast coverage area servicing California, Oregon, and Nevada. The last thing restaurant owners need is to worry about expensive health department fines, or worse yet, shutdowns due to clogged lines or overflow emergencies. In addition to cleaning the grease trap, we also offer hydro-jetting service to clean the lines around the grease collection system. With a good preventative maintenance system in place, restaurants can focus on that which they do best - serving hungry customers! In the end, even well laid plans come up short from time to time. The good news for SAF partners is we are available 24/7 to assist in emergency situations. That means we will respond to your calls and emails when you need it most. If you are ready to upgrade your existing used cooking oil disposal or grease trap cleaning service to Smart Alternative Fuels AutoPilot Service, here's how to partner up with us. Simply select one of our service coverage areas below and complete the online form. Or, you can call us any time with questions, comments, or to request service at 855-873-3645. Smart Alternative Fuels provides AutoPilot Service throughout California, Oregon, and Nevada.